Now that we have a basic framework for your defining inner passion, we need to come up with an action plan for that passion. As the saying goes, “if you fail to plan, you plan to fail.” I have split this section into four sub-categories, depending on whether your passion is to start back into a career, work on a hobby, become involved in a philanthropic cause, or if your passion is geared more towards a trip or a personal goal. 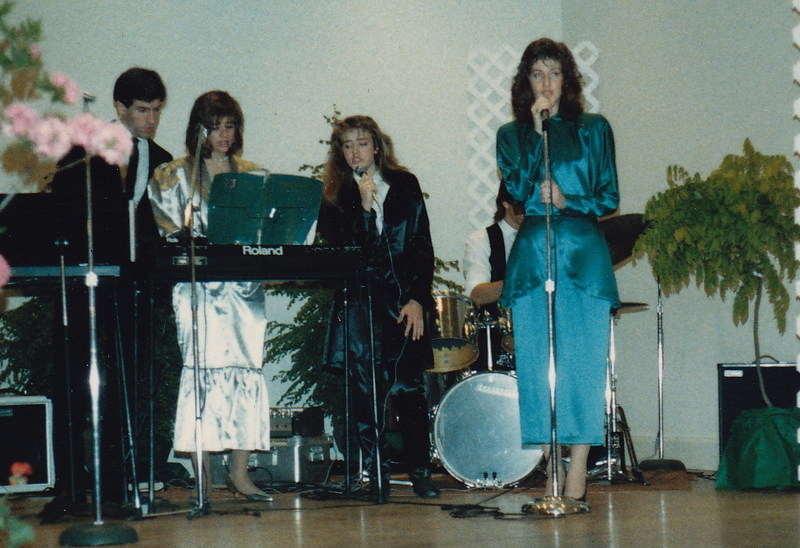 In my early twenties, two of my sisters and I broke out of our family singing group and started to work with a music producer. We were taking songs that I had written and were sprucing them up and creating harmonies for us to sing. In the meantime, we were also taking singing lessons in New York City. One day our music producer invited us to the Blue Note to meet Ellen Greene, a singer/actress from Broadway’s Little Shop of Horrors. He introduced us as his new singing group. She was excited to meet us and on the spot, at the very famous New York City club, asked us to sing something for her. We hadn’t planned for this, nor with all of the work we had done, did we truly think of ourselves as a musical group. So we froze, we couldn’t think of a single song to sing. Our music producer was horrified. Finally we broke out in something, which was far from the type of performance we wanted to showcase. Shortly after that, back at my “real job” my boss was about to offer me a promotion to Marketing Manager, my first management position. But he said he wanted to make sure this is the direction I wanted to take and that I wouldn’t be pursuing my musical career. I almost started laughing, my musical career? Even though music was more of my passion and we had people who believed in us and were working with us, I had never seriously thought of an action plan for it so it didn’t seem truly attainable to me. So, I was doomed to fail. And who wouldn’t rather be a mutual fund marketing manager than a singer/songwriter sensation anyway? So, twenty years later, it’s finally time for me to put passion into action. To be successful in your goal, you need to do the same. To do this, as I said, we are going to look at three active path categories: Career, Talents/Hobbies, and Philanthropy/Causes. Each of the next three posts, including this one, will cover one of these active path categories. Direct your attention to the post that most closely resembles the path you have chosen. 1) Do you think you can make a career out of your passion? 2) Do you have time to pursue this as an actual career and not just a pastime? 3) If you have the time and childcare resources, would you be able to pursue this full-time or part-time? 4) Would you like to make money from it? 5) Would you pursue it even if you couldn’t make money from it? 6) Would you work in an office or prefer to work out of the home? If after answering the above questions, you feel like pursuing your passion in some sort of career is the action path you want to take, then we need to start shaping your passion in light of your preliminary job requirements. If it is a career/job you are interested in pursuing, at the top of the next page of your notebook write “CAREER/JOB ACTION PLAN”. What does the framework look like that your new career will fit in? Use the answers to the above questions to sketch out a framework. I definitely want to turn this passion into a career. It needs to be a money making proposition. I want to work out of the home, though there can be some travel, especially in and out of the city. It needs to start off as part-time but could lead to full-time if need be. An action plan starts to take shape when you start to involve others in it. And to get to the end result the quickest you need the path of least resistance and where you have the biggest or highest quality of networks that can help you get there. Think of your passion, and all the creative ways you can think of forming it into a career. Write the sub-heading “Network”. Start by making a list of everyone you know who has some sort of connection in business to your passion category – friends, relatives, friends of friends, alumni, neighbors, community members, local businesses. Now, using your networking list, come up with a framework for a business plan in how you can break into your passion related career. There may be some initial steps you have to take on your own before you can start to network, but you should have your plan outlined with your networking contacts included so your action steps can be fluid and you can be more confident in how your plan is going to be able to move forward. Write the sub-heading “Action Plan Steps”. In this exercise, look back at the description of your inner passion that you worked on in the last section, keeping in mind your career framework. Start off with a brief description of your proposed passion career. Then come up with enough steps for your action plan, using contacts from your network list where applicable, to formulate how to get your passion-related career off the ground. I want to create a blog where I can reach out to like-minded women and help them rediscover their passions in life and help them put those passions into action. I want to connect with them in an informative and entertaining way. 1. Research prospective blog sites. 2. Create an outline for my blog. 3. Reach out to friends X, Y and Z, who have written blogs of their own and ask for advice. 4. Come up with a schedule for working on the blog. 5. Research other blogs with similar content. The action-plan list would continue. You need to be as specific as possible. Once you come up with your list, break any large steps down into sub-steps. Make sure you include steps that will make this plan “a reality” for yourself, no matter what that might be. For instance, it doesn’t help me to create the blog if I don’t have steps in my plan to make it “go live”. I needed to make sure I had steps that involved how I was going to get blog followers. Your list might include head-hunters to call with their phone numbers listed, or friends from your network list that are in your “passion” industry, who might be able to get you in the door, or might know someone who could tell you who to contact. At the end of the day a passion is just a dream unless you take actionable steps to make it a reality. Posted on April 1, 2012, in HUMAN RESOURCES - The Road to Self-Rediscovery. Bookmark the permalink. Leave a comment.